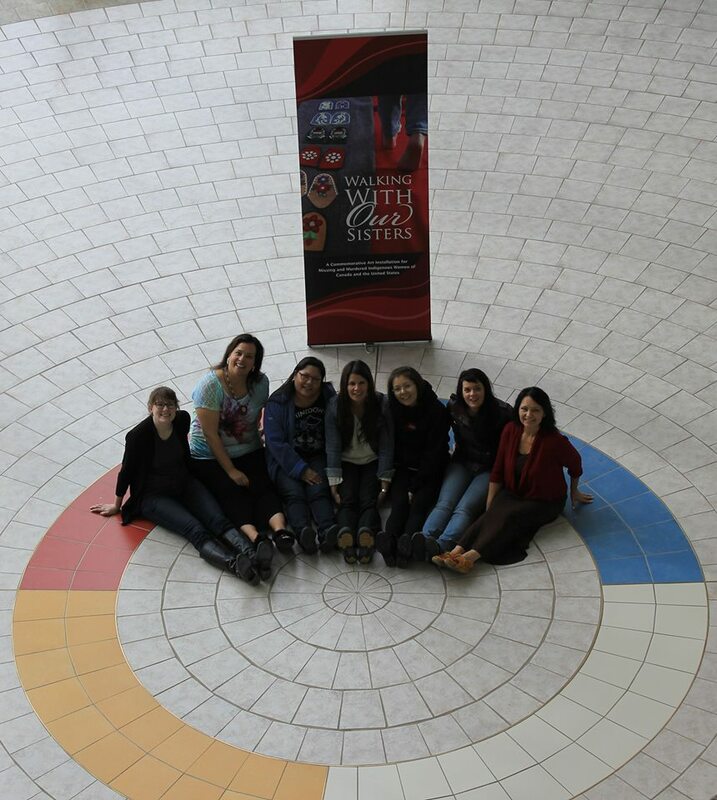 On November 11, 2013 Walking With Our Sisters opened in Regina at the First Nations University Library. Midway through the exhibit we held a Yoga Fundraiser to raise money as well as to get us warmed up for the coming winter. 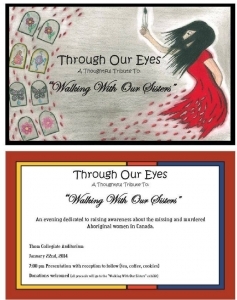 Led by instructor Danette Exner we raised $300 for the WWOS project! 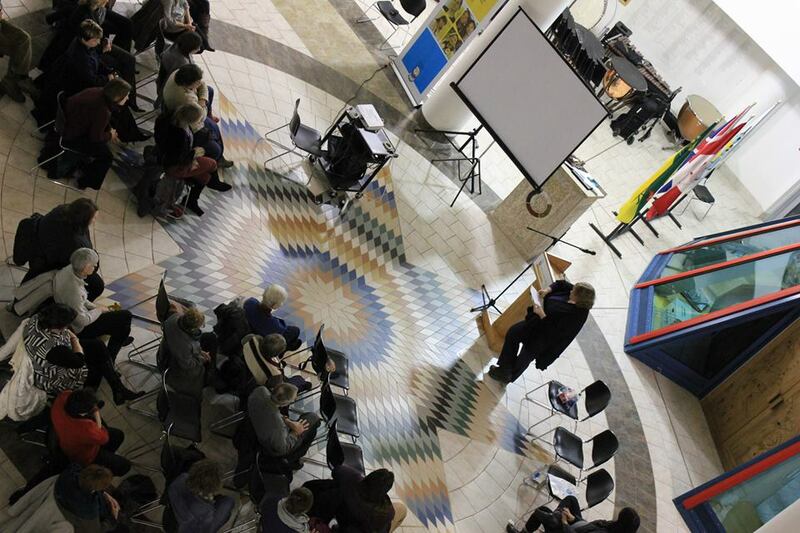 We also held a book launch on Thursday, November 28 where 3 mother-daughter pairings read from “Honouring Indigenous Women, Hearts of Nations, Volume 2.” We thank our MC, Elder Nellie Ironquill for her contribution. We would also like to thank our readers Victoria and Carrie Bourassa, Sarah and Misty Longman, and Tara Willett and Shauneen Pete. 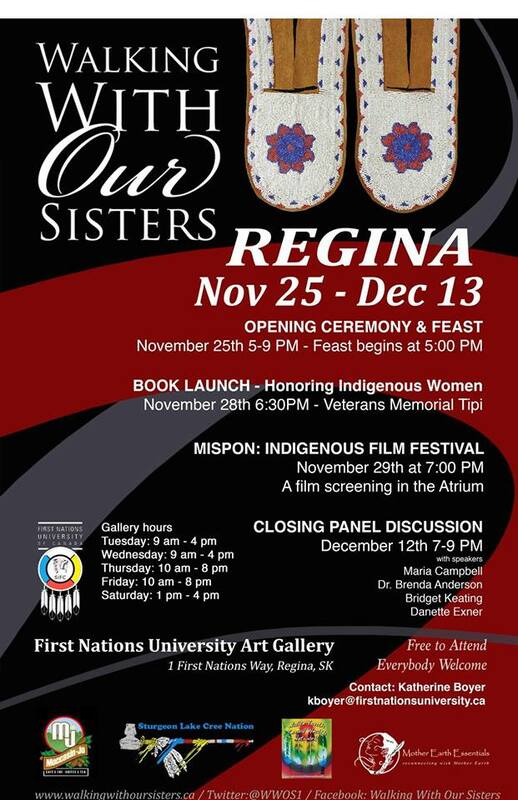 The next day, Friday, November 29, mispon and the First Nations University of Canada paid tribute to Walking With Our Sisters by hosting a screening of selected short films on missing and murdered Indigenous women that included “Survival, Strength, Sisterhood: Power of Women in the Downtown Eastside.” The Yorkton Short Film Festival kindly provided 2011′s Best Aboriginal Golden Sheaf winner Xstine Cook and Jesse Gouchey’s “The Spirit of the Bluebird” for screening. We were fortunate to have the support of many news and media outlets over the duration of the exhibit. 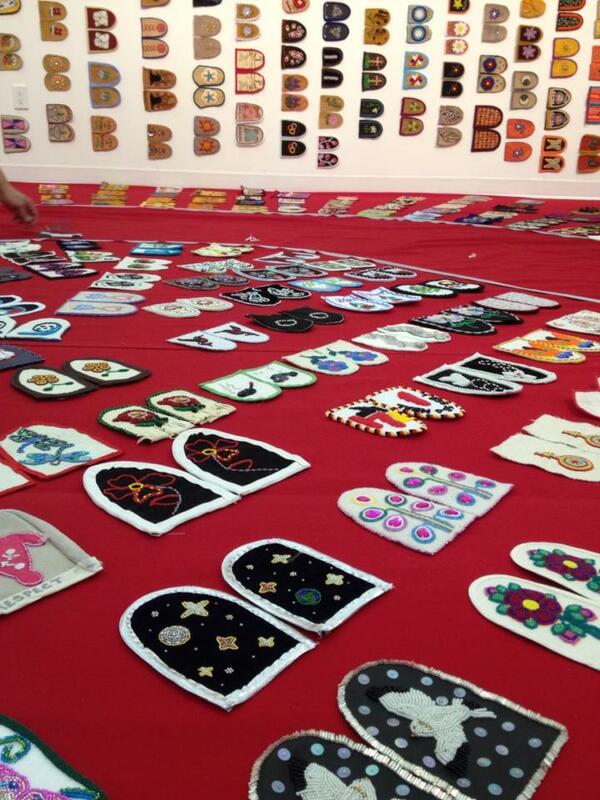 To listen to what Global News had to say on their report “Exhibit honours missing and murdered indigenous women” click here. 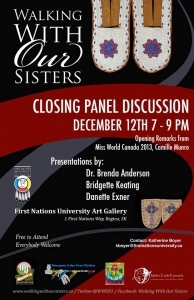 Sheila Coles of CBC Radio One interviewed Tracey George-Heese regarding her story and contribution to WWOS. You can listen to the CBC interview here (note: the interview is in French). 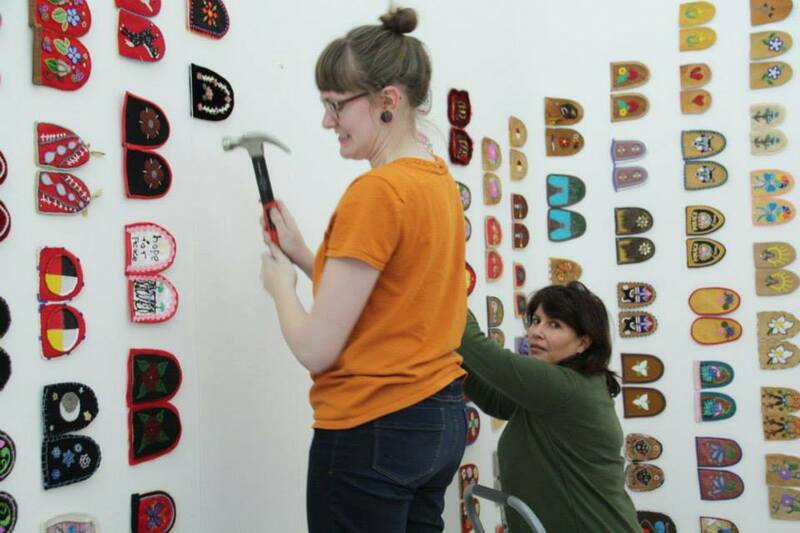 Saskatchewan based Eagle Feather News interviewed Danette Exner, Judy Anderson and Katherine Boyer for the article “Powerful art installation honours missing, murdered women” by Judy Bird. To close the Walking With Our Sisters Exhibit a powerful panel discussion was held on the final day. 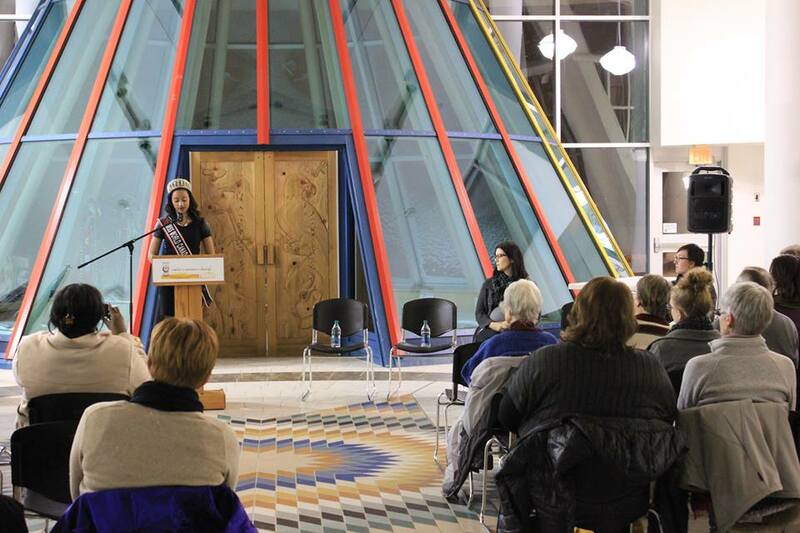 Camille Munro provided opening remarks and sharing about her experience and choices as a public figure, how she came to learn about the plight of Indigenous murdered and missing women as well as her activism work. Camille is Miss World Canada 2013. 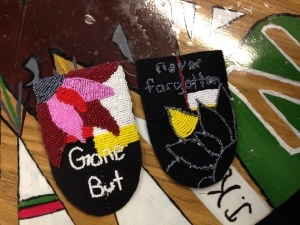 Danette Exner (read her story on Leaderpost)shared about her family’s loss and how it has influenced her work to date which included a community arts project and publication. Danette is an Instructional Consultant for Regina Public Schools. Bridget Keating presented on her paper “The Privilege of Blindness,” which concerns violence, dispossession, and resistance. It focuses, in part, on settler-colonialism. 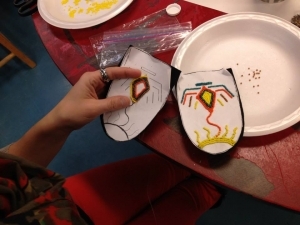 Bridget is a sessional lecturer and a PhD student at the University of Regina, where she is studying resistance art in Zapatista communities. 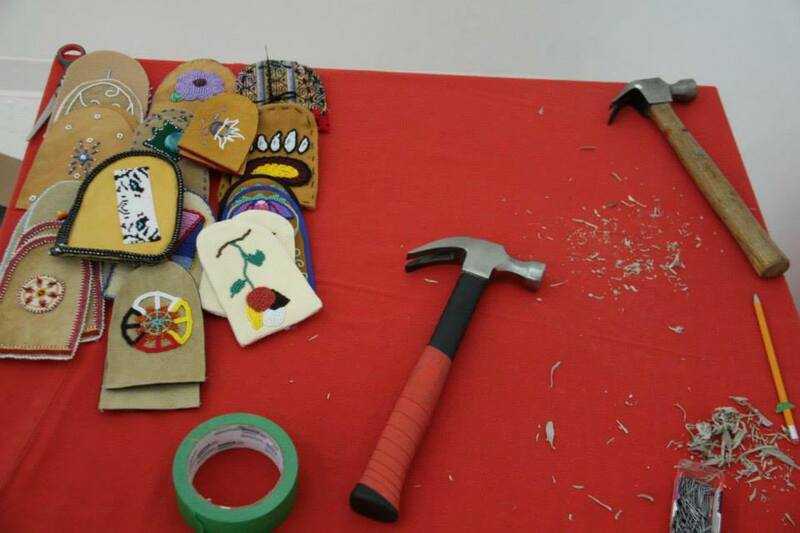 Another project that began before WWOS but also aims to shed light on the issue of Missing and Murdered Indigenous women is the “Faceless Doll Project” organized by the Native Women’s Association of Canada and this past September the RCMP Heritage Centre in Regina. 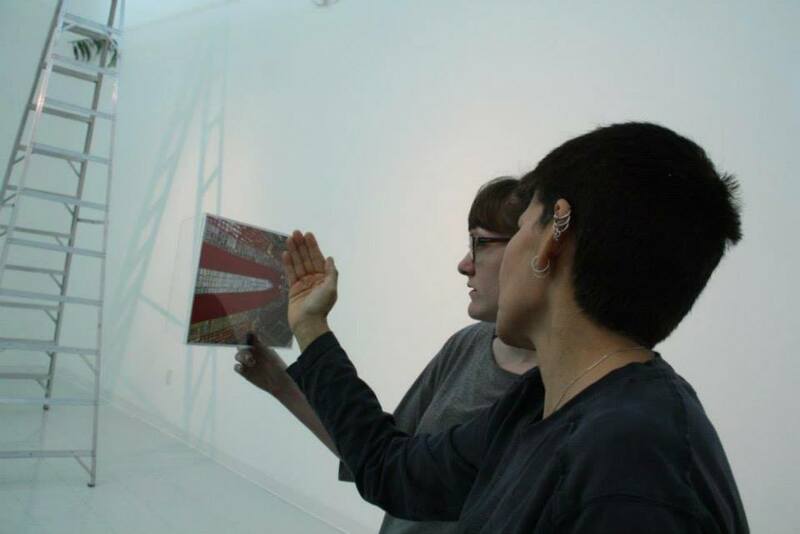 So many wonderful (and creative) people are committed to raising awareness through the power of art. “Much gratitude to Elder Diane Kaiswatum for lifting her grandmother pipe on Friday to bring the exhibit to a close ceremonially. Thank you to all the volunteers for stepping up with such kindness and intent. Thank you to the Regina committee members for their volunteer leadership and insight. Thank you to FNUniv Elder’s Helper Roland Kaye for you assistance around protocol and looking after the WWOS eagle staffs.